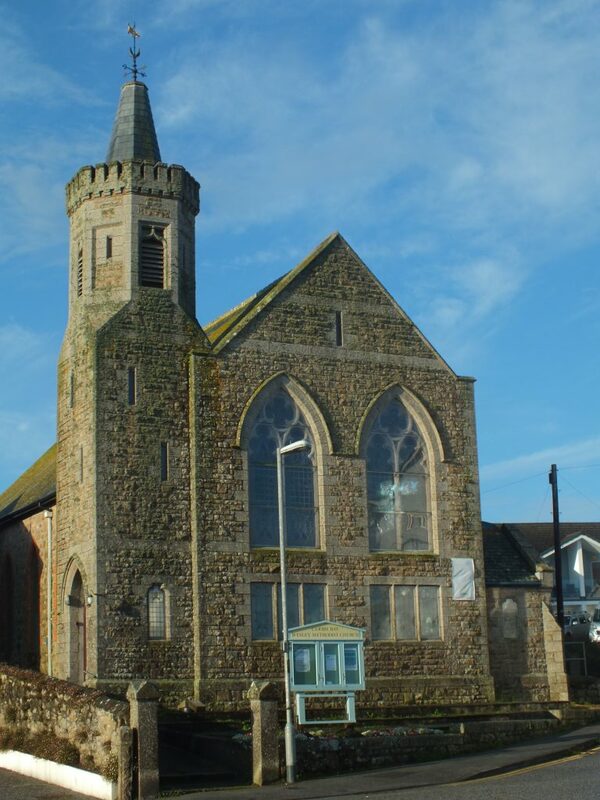 The church building is on the corner of St Ives Road (TR26 2SF) and Higher Boskerris (TR26 2FL), Carbis Bay, St Ives. Whilst we respect our Christian heritage and traditions, the world we acknowledge has moved on and we want to create an appropriate environment for meaningful Christian worship in the 21st century. Thus, we have embarked upon a programme of complete renovation of our church both physically and spiritually, to create an atmosphere of awe and wonder in which we can come together to celebrate the life of our Heavenly Father, hopefully returning our chapel to the heart of the community which it serves. Our Sunday morning worship commences at 10:45 am and we have coffee together after the service. Fortnightly, we hold a well-attended open Bible study and prayer group, which meets at 2:30 pm on Tuesdays in the Chapel. A weekly coffee morning is held on Thursdays from 10 am to 11:30 am. Bi-monthly, we have our Sunday church luncheon, held at either West Cornwall Golf Club or The Watermill, Lelant. Our friends from Chy an Gweal join us. Annually. we play host to the Civic Christmas Tree lighting service and concert. Choir concerts are held periodically throughout the year. During the summer we are hosts to the Carbis Bay United Beach Mission. We are working towards closer links with our friends from Chy an Gweal Methodist Church and we join for special services throughout the year and Sunday evening worship during the summer. The St Ives Community Choir, who practise on Tuesday evenings. St Ives Study Archive, who have made their home in our school rooms. They are open Tuesday to Friday, 10 am to 2 pm. We are a friendly, small, messy, beautiful, glorious imperfect family. Please join us!